The Sloboda family needed a new refrigerator so Brian volunteered to do the shopping. After all, he’s a national expert on electric appliances. He came home frustrated. There were too many choices, even for the guy whose job title is “program and product line manager for energy utilization, delivery, and energy efficiency” at the National Rural Electric Cooperative Association. “Just buy whatever you want,” he told his wife. Sloboda finally used his in-depth knowledge when he looked over the model that his wife Sami Jo brought home. “Why didn’t you get the version that has a camera inside, so you can use your smartphone in the grocery store to see if we need more milk?” he asked. “Because it costs $500 more,” she said. That, Sloboda said, was a good reason. That’s the kind of reasoning we’re all going to be using as we grapple with the newest trend in appliances: connection to the internet. Web-connected appliances could also offer online diagnostics. There might not be strong, everyday reasons for a washing machine to be hooked into cyberspace, but if it broke, the manufacturer could log in to figure out what’s wrong. That could help decide the best way to repair or replace the equipment. But is it worth the extra cost? If you’re longing for lower-tech help in decision-making, look to the yellow and black U.S. Department of Energy’s EnergyGuide label on each appliance. “It’s one of the single greatest pieces of information that you can find when you buy an appliance,” Sloboda said. The most useful info is the big dollar figure right in the middle of the label, showing what it will cost to use that appliance for a year. Sloboda cautioned that the number doesn’t tell you exactly what you will pay because it doesn’t use your local utility’s kilowatt-hour rate, but it’s a perfect way to compare appliances because every appliance’s label is based on the same national average electric rate. Other especially useful parts of the label, he said, include the lower right corner — if you see an Energy Star logo, it means the appliance will use less energy than one without such a label. Sloboda also singles out the upper right corner that lists the manufacturer and model number, which you can use for more detailed comparisons with other models. Pay attention to the age of the major energy-using appliances you have at home. New motors added dramatic energy efficiency advances over the past several years, and older motors started degrading in refrigerators and in heating and air-conditioning systems. Consider upgrading air conditioners and heat pumps older than 10 years and refrigerators older than eight years. The Department of Energy offers a handy way to check whether it’s time to replace your refrigerator — visit the EnergyStar.gov website and in the search box type “flip your fridge calculator.” You’ll find a link to a page where you can enter your type of refrigerator and its age to calculate how much you could save buying a new one. All these options mean more decisions for consumers, but help is on the way. Sloboda said electric co-ops are working with two national laboratories to study the most useful ways to connect appliances with the internet and with the utilities that provide the electricity. He said over the next two years the study will report on how consumers can more easily make decisions on how to use appliances and even how to enhance cyber security for the growing number of internet-connected devices in the home. The aim of the study is to understand what the value of internet-connected devices is to the consumer. “Then the manufacturers can start to build products that the consumer wants,” he said. The study will also look for futuristic-sounding ways co-op members can sign up for optional utility programs to help them decide how they want to use electricity. That setup could even let homeowners decide if they want to save as much energy and money as possible or if they rather the house be warmer or cooler. It doesn’t sound like shopping for appliances is going to be any easier in the future, so do your homework, study your options and then select what works best for you and your budget. Paul Wesslund writes on cooperative issues for the National Rural Electric Cooperative Association. The Smart Electric Power Alliance has named Poudre Valley Rural Electric Association in Fort Collins the 2018 SEPA Power Players Electric Cooperative Utility of the Year, in part for its Coyote Ridge Community Solar Farm. The SEPA Power Players Awards honor utilities that provide the vision, models and momentum for the electric industry’s transition to a modern energy future. “To win this award is such an honor for Poudre Valley REA. We developed the Coyote Ridge Community Solar Farm as a mechanism to serve all our members with solar energy and we’re proud to be able to deliver that opportunity,” PVREA President and CEO Jeff Wadsworth said in a press release. The community solar farm, located south of the Larimer County Landfill in Fort Collins, was dedicated in August 2017. Coyote Ridge is Poudre Valley REA’s third community solar farm and is owned and maintained by PVREA. The 1.95-megawatt solar farm sits on 9 acres and has nearly 6,000 panels. As of August 2017, it was the nation’s largest low-income community solar project, with the majority of the energy output benefiting low-income households, affordable housing providers and nonprofit organizations in the co-op’s service territory. The remainder of the energy output is offered to other consumer-members. The Colorado Rural Electric Association is proud of PVREA for its forward-thinking initiatives. Holy Cross Energy, based in Glenwood Springs, awarded $252,000 in rebates to Eagle County Schools for an interior LED retrofit. Denver-based Iconergy completed the district-wide project. Crews updated 16,000 interior light fixtures in nine schools, the district office and the transportation center, totaling over 840,000 square feet. Teachers and students will benefit from the efficient, bright and dimmable lights. The LEDs also have occupancy sensors, which automatically turn on and off the lights when someone enters or exits a room. By replacing the old lighting in the school, the district expects to save more than 1.4 million kilowatt-hours in 2018 alone. This will add up to significant savings. In March 2018, Gunnison County Electric Association expanded its electric vehicle program with the addition of a 2018 Chevy Bolt. The Bolt joins the co-op’s Nissan Leaf and a Chevy Spark that are currently in their EV fleet. GCEA started the electric vehicle program with a Chevy Spark as a way to provide an EV driving experience for members. GCEA employees also use the car on a daily basis and named it “Spark-e.” To further educate people about EVs, the co-op loans Spark-e out for a week at a time in the “Adopt Spark-e” program. The Chevy Bolt will be only offered for test drives. All long-distance trips in the Bolt are recorded and are outlined in a blog, https://followingbolt.blogspot.com. Check out one employee’s trip over Monarch Pass with the Bolt on the blog. To further support EV owners, GCEA also offers a 35 percent rebate, up to $250, on home chargers — as long as the member goes on the time-of-use rate. They can plug in their EV at home at 6 p.m., but it is scheduled to start charging at 10 p.m. to stay off peak. Studies suggest that exposure to electric vehicles increases acceptance, and Gunnison County Electric Association hopes to help its consumers understand EVs better by sharing their EV fleet. Tri-State Generation and Transmission, a power supplier for 18 of Colorado’s 22 electric cooperatives helped dedicate the Dry Fork Station Integrated Test Center on May 16, 2018. The ITC is host to the Carbon XPRIZE, in which participants compete for a total of $20 million in prize money. The goal for the XPRIZE is to incentivize the creation of commercial commodities from CO2 emissions in an effort to create a circular carbon economy. In 2016, coal-based generation facilities produced more than 1.2 metric tons of CO2. The ITC project occupies over 200,000 square feet of space at the Dry Fork facility in Wyoming. The Carbon XPRIZE finalists will use one of five test bays, and will share access to flue gas produced by 1.5 MW of generation capacity from the coal plant. 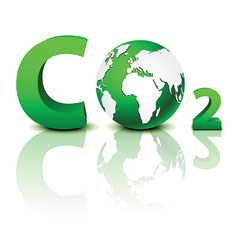 Tri-State contributed $5 million to the ITC project after identifying the need “to provide venues for innovators to bring new [carbon utilization] technology forward,” according to Ellen Connor, senior vice president and chief technology officer at Tri-State. XPRIZE finalists are proposing products like feedstock, foamed plastics and concrete — all created by using CO2 emissions from the coal plant. CREA will continue to track the XPRIZE and how solutions from forward-thinking innovators will trickle down to Colorado’s electric co-ops. United Power, Inc., announced in May that all members qualify to receive savings by purchasing and using a Nest programmable thermostat. The Brighton-based electric co-op now offers member rebates for new Nest purchases, as well as through a program called “Rush Hour Rewards” for members who have a Nest thermostat and central air conditioning. It will help the co-op decrease peak power usage during hot summer days when members’ collective air-conditioning use is high, thus relieving some of the load on the electric grid during those times. 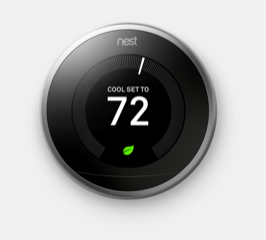 Prior to a “Rush Hour” of energy usage, members’ qualifying Nest thermostats will pre-cool the home. Nest-using members will receive a message directly from the app saying that United Power has scheduled a Rush Hour because predicted electricity use is high. Then members’ Nest thermostats will automatically adjust up or down a few degrees. When the Rush Hour is over, the Nest thermostat will automatically return to its regular temperature schedule. Rush Hour Rewards rebates are applied as United Power bill credits. Members will receive $50 upon enrollment in the Rush Hour Rewards program, and then an additional $25 at the end of the summer when they stay enrolled for the season. Keep up-to-date with this innovative approach to saving energy and members’ money with the CREA Innovations in Energy newsletter. We are anxious to see how more Colorado electric cooperatives innovate with smart home devices. The board of directors for Granby-based Mountain Parks Electric, a nonprofit electric provider, approved the purchase of electricity from a 1.3-megawatt solar array to be built in Jackson County. Microgrid Energy plans to construct the solar array several miles north of Walden, just east of Highway 125. 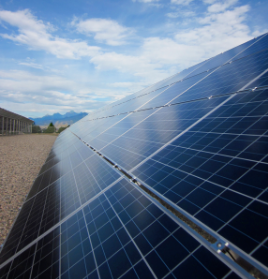 MPE will purchase the solar generation for 20 years after the array is constructed. The electricity generated from the array is estimated to produce enough electricity for 300 homes. Mountain Parks Electric “will save money on wholesale power costs with every kilowatt-hour generated by this solar array,” says Tom Sifers, MPE general manager. 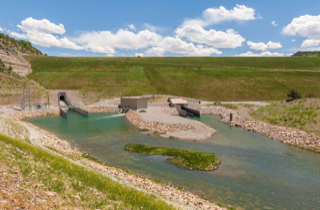 Other renewable energy projects in MPE territory include hydroelectric generation from the Granby Dam, Grand Lake’s micro-hydro recovery system and the Williams Fork Dam. This solar generation array will add to the local renewable power supply, increasing it their renewable portfolio, which currently stands at 30 percent. Electric cooperatives are committed to making reliable and low-cost electricity available to consumer-members. To do that, many co-ops depend on their generation and transmission co-ops (G&Ts) that supply the electricity. Those G&Ts are finding new ways and new resources to help their co-ops meet the needs of their members today and tomorrow. “G&Ts have expanded their supply portfolio to add cleaner and more efficient modern natural-gas fired generation and renewable resources, and are also investing in emerging technologies,” said Paul Breakman, senior director in NRECA’s business and technology strategies (BTS) department. Owned or purchased renewable energy capacity available to electric cooperatives has topped 9 gigawatts, with at least another 1.1 GW planned by 2020, excluding about 10 GW of federal hydropower purchased by co-ops each year. Fueling the projected growth are a number of factors, including the extension of federal tax incentives and the improving economics of renewable resources. With 85 megawatts of solar, Westminster-based Tri-State Generation & Transmission leads the nation in co-op solar power, according to Lee Boughey, Tri-State’s senior manager of communications and public affairs. The G&T supplies electricity to 18 of Colorado’s 22 electric co-ops. In 2017, 30 percent of the energy consumed within the association came from renewable resources. Tri-State’s first two large, utility-scale projects were announced in 2009 and came on line in 2010: the 30-megawatt Cimarron Solar facility located in Colfax County, New Mexico, and the 51-megawatt Kit Carson Windpower Project in Kit Carson County, Colorado. “Since then, Tri-State has added two additional solar projects, which make our association the top G&T in the nation for solar power,” Boughey said. With three wind projects in eastern Colorado and six hydropower projects, Tri-State has 475 MW of renewable projects in its portfolio. “Those projects are complemented by our members’ local renewable projects and the hydropower power the association purchases from the Western Area Power Administration,” Boughey said. There have been significant decreases in the cost of renewable power since the G&T’s first projects were signed on in 2009. As a result, its recent renewable energy power purchase agreements benefit its member systems with the lower cost of energy. Projects that came on line in 2017 include the Alta Luna solar project in southern New Mexico and the Twin Buttes wind project in southeast Colorado. “While other utilities across the country have seen decreases in the demand for power, Tri-State, which has a diversity of member systems, continues to experience load growth,” Boughey said. In 2017, the amount of energy the G&T supplied to its members increased more than 2 percent. And more of that power is now generated using renewable resources. Amy Higgins writes on cooperative issues for Colorado Country Life. 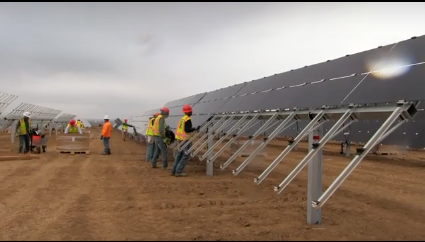 After two years of analytical research, planning, development and construction, Colorado electric co-op Southeast Colorado Power Association energized the Vilas Solar site on March 1. A partnership with RES, the solar project will provide solid energy output. The La Junta-based co-op will pay RES for the energy output from the solar site on a pre-determined pricing model. 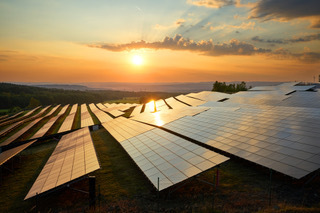 And since solar power is relatively easy and cheaper to produce, members will see cost benefits over the next 20 years. The solar project sits on almost 40 acres near Springfield. This is the first local solar project for SECPA and the co-op is excited to add this solar source to its renewable power generation portfolio. 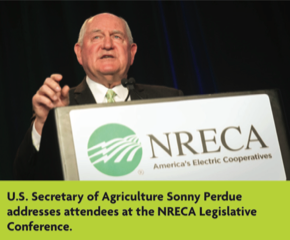 The National Rural Electric Cooperative Association Legislative Conference took place in Washington, D.C., the first week in April and Colorado co-ops attended to meet with legislators. The annual conference gives rural electric cooperative leaders the opportunity to discuss co-op priorities and legislation that directly affects co-ops and rural America. This year, one of the topics was broadband for rural America. Broadband access will improve rural education, medical care, communication and business, including farming, he continued. Perdue described how smart technology can drive precision fertilization and seeding at large farms. “You can’t do that without broadband e-connectivity,” he said. Perdue said that the USDA is working now to distribute $600 million in rural broadband grants and loans, which has the potential to directly impact rural parts of Colorado. Several Colorado co-ops are currently innovation leaders in expanding high-speed internet into underserved parts of rural Colorado.